Real time face-to-face readings with Shiva Das of your birth chart and progressions are now available using Skype, Google Hangouts, Messaging, etc. Shiva Das will give you a spiritual reading of your birth chart and progressions, revealing where you are in your process of spiritual evolution, and life lessons you are working on. He will look at your chart and explain the inner polarities at work within you that form your personality and character and motivate you to express yourself a certain way or seek certain things in the world, trying to find satisfaction or fulfillment. He will also suggest spiritual practices that can help you resolve these issues within yourself, rather than outside yourself, and find the inner equilibrium that will then extend out into your life (as our outer world reflects our inner and we attract whatever complements where we are in our consciousness). Shiva Das has been an astrologer for almost 40 years and has done hundreds of readings. 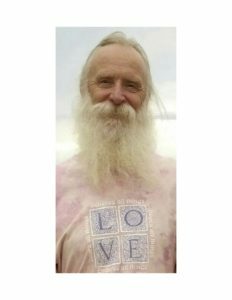 He is currently the resident astrologer and Yandara Yoga Institute in Southern Baja, Mexico where he does readings daily. The cost for a one hour reading is $50.00 usd. Please fill in form below if you are interested and we will get back to you as soon as possible to answer any questions, schedule a reading, or provide more information.